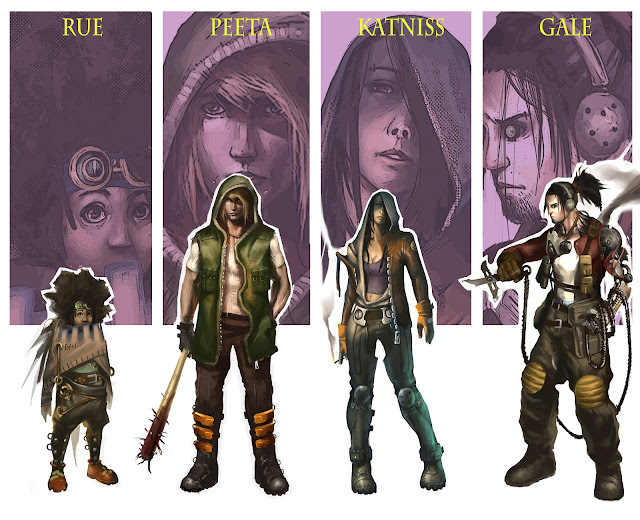 These are characters based on the book "The Hunger Games" that I was working on in August. Don't think I'll get back to working on these, but who knows? These characters still need work and I have some more characters I was supposed to design, hopefully I'll still find time to go back to this project..
From left to right the characters are Rue, Peeta, Katniss, and Gale. Will update with initial sketches/ideations soon. 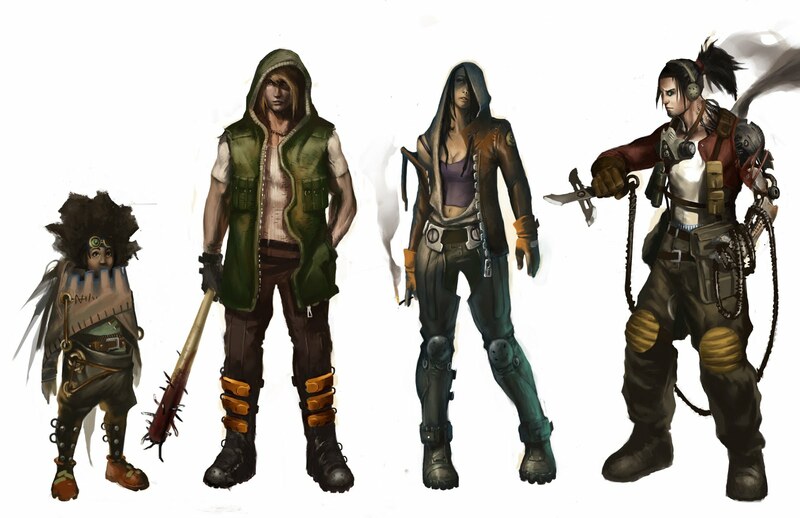 These are my interpretations of the characters, not yours. If hair length is one of the main problems you have with my designs, than I must have not been that far off anyhow.